Martha Stewart’s Housewarming Bucket is all over pinterest, but there wasn’t a list included. 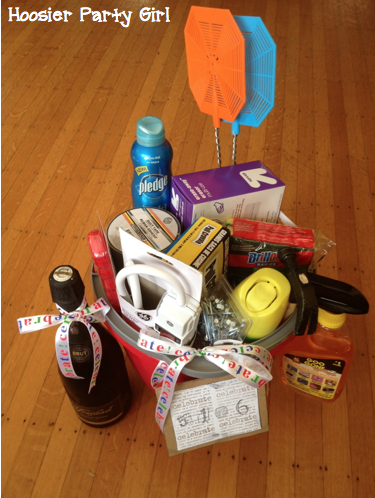 While not as cute as Martha’s galvanized bucket, I chose items based on the new (first time) home owner’s personality and needs. champagne – a new house is something to be celebrated! 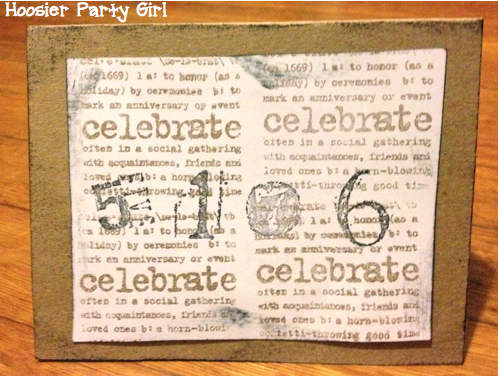 I used Stampin’ Up stamps to make a card with the new address. Celebrate stamp is in background in bronze, and the number stamps are on top in black. I tied it all together with the Celebrate! ribbon from the Dollar Tree, with the card hanging from the ribbon. 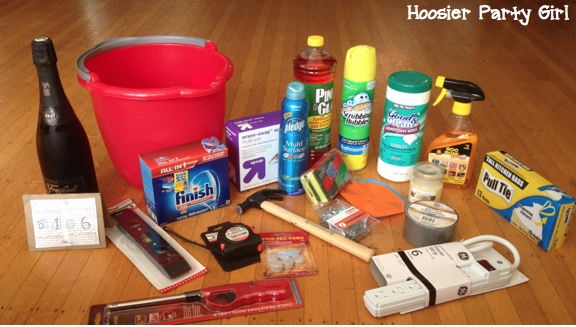 What other items might you find helpful?